Don't wait! This home has been nicely maintained, because it's low maintenance! Impact resistance 50 yr Malarkey shingles, newer siding, updated windows and a new privacy fence set in concrete footings. The seller has added value with all interior paint, newer bathroom, a built-in dishwasher, new disposal and recessed lighting in the kitchen. THE basement has all new flooring, trim, living area, bedroom, bonus room and a fully functional kitchen. Many updates that makes it a great home for a first time buyer, young couple or as an investment. Contact me to have a private showing today! 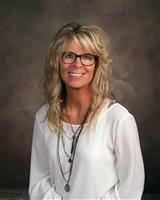 Lisa Krull 785.656.0387 (cell) Contingent upon seller purchasing home of choice.